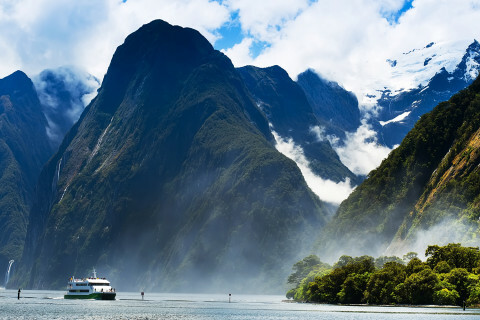 One of New Zealand’s most stunning natural attractions: Milford Sound, lying within Fiordland National Park, is the only fiord in New Zealand that can be accessed by road. Why you should go: Rudyard Kipling called Milford Sound ‘the eighth wonder of the world’ – and for good reason. 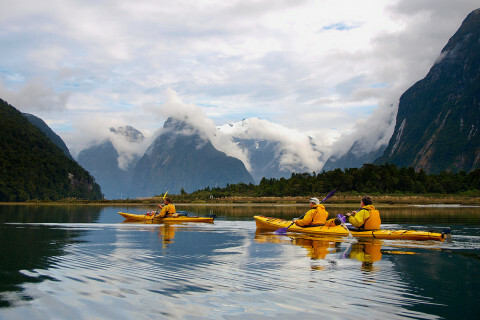 Fiordland National Park is a World Heritage Site, and showcases some of the most dramatic sights of New Zealand. The long journey to the west coast of the country’s South Island is worth it for the incredible views, peaceful atmosphere, and many hiking opportunities. What to do when you’re there: One of the best ways to explore Milford Sound is on foot: explore New Zealand’s most famous walk, the 33-mile Milford Track, an ancient Maori path. There are many hiking trails taking you through rainforest or alpine tracks. Water-lovers can kayak through the glacial landscape, or even scuba-dive to discover over 150 species of fish – you could even spot a dolphin or seal! Recommended route: For reward to effort ratio, Lake Marian cannot be beaten. Deep in the Darran Mountains, sheltered in the bottom of a hanging valley, explore the lake that beckons those who take the time to stop to stretch their legs on the long drive to Milford Sound with this route by Wilderness Magazine. Where to stay: Milford Sound Lodge has a range of options from Rainforest camper-vans to self-catered dorm rooms. You could also stay in Queenstown or Te Anau, popular starting points for Milford Sound day tours. Where to eat: The Blue Duck Café & Bar is available for your snacking needs, and Milford Lodge’s Pio Pio Café covers breakfast to dinner. 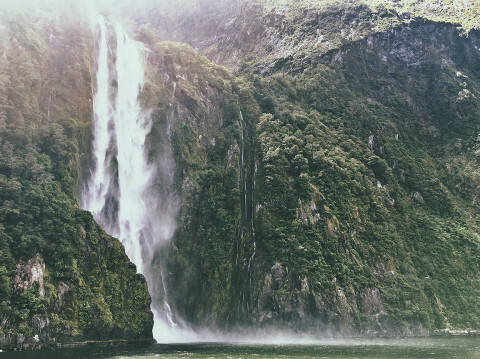 Interesting fact: Milford Sound is known as the wettest inhabited place in New Zealand! Top tip: Don’t worry about the rain – sit back and enjoy the stunning waterfalls. December and March are good months to arrive to avoid the crowds, while still enjoying the good weather.